Full day tour to the most important cities of the Minho region in northern Portugal. Chance to meet monuments of great relevance in the history of Portugal and its birth as an independent nation. Braga is the oldest city in Portugal with more than 2000 years. Its history began in Ancient Rome, when it was founded in 16 BC as Bracara Augusta in honour of the Roman emperor Augustus. Guimarães is considered the cradle city of Portugal and its historical centre is considered World Cultural Heritage. Its streets and monuments breathe history and delight those who visit it. 1. Visit to the beautiful Sanctuary of Bom Jesus to contemplate a magnificent view over the city of Braga. 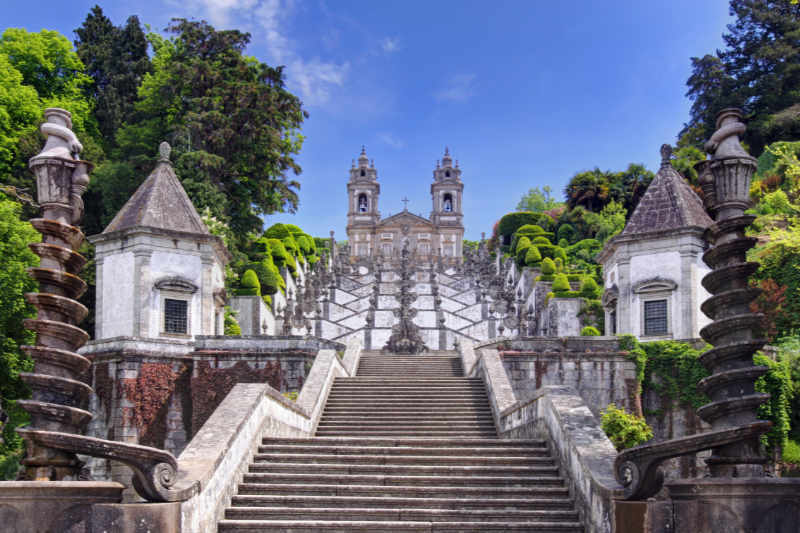 The Sanctuary is famous for its long stairways, the surrounding park and the first water balanced funicular built in the Iberian Peninsula, linking the city of Braga to the Sanctuary hill. It is still in use. 2. 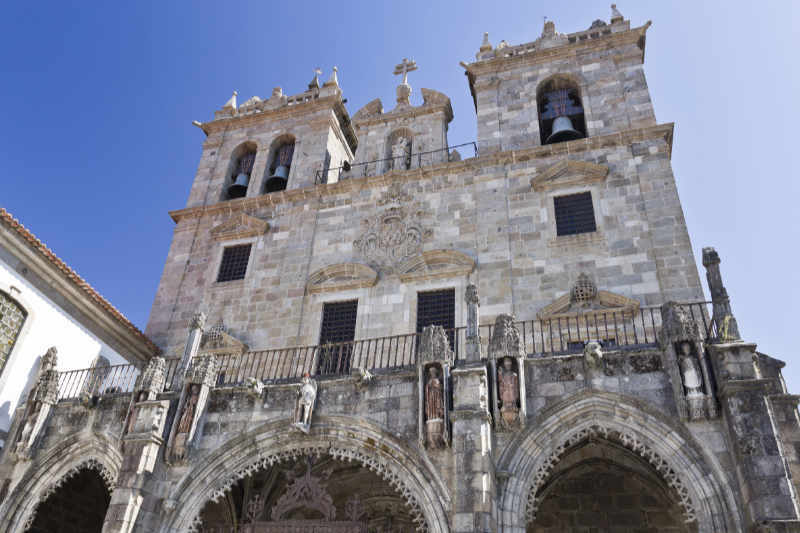 Visit to the Sé de Braga, the oldest cathedral of Portugal with the status of national monument since 1910, containing numerous treasures of sacred art. Its construction began in 12th century, lasted until the middle of the 13th century and was influenced by various styles such as Gothic, Moorish, Manueline and Baroque. 3. 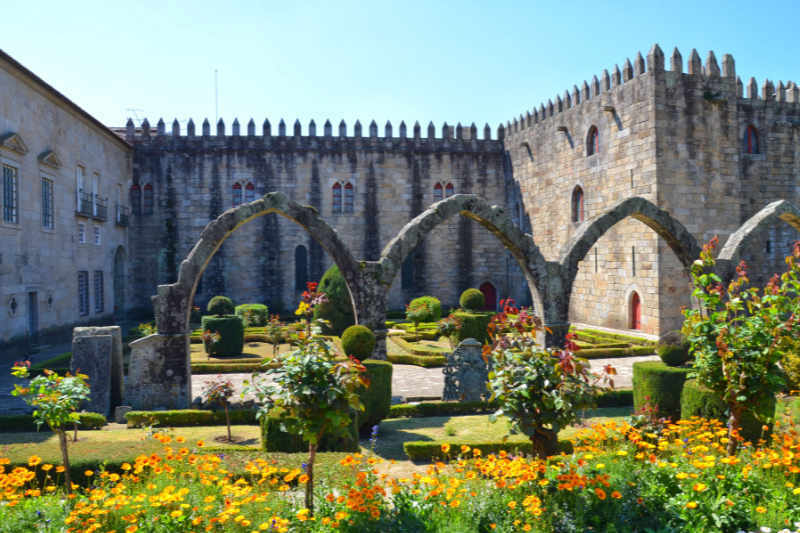 The visit to Braga ends with a walk through the beautiful gardens of Santa Bárbara and the Republic Square in the heart of the city historical centre. Both great places to contemplate and "feel" the city while enjoying a drink in one its centenary and iconic cafes. 4. 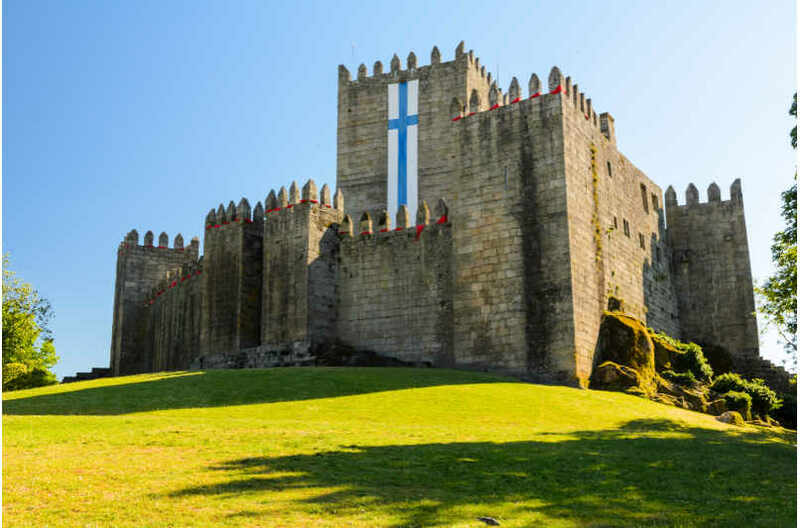 The 10th century Castle of Guimarães is deeply connected to the military battles for Portugal's independence lead by D. Afonso Henriques, which would become the first king of Portugal. Its one the best-known national monuments and popularly designated as the Cradle of Portugal. It was classified as a National Monument in 2007 and has been informally elected as one of the Seven Wonders of Portugal. 5. 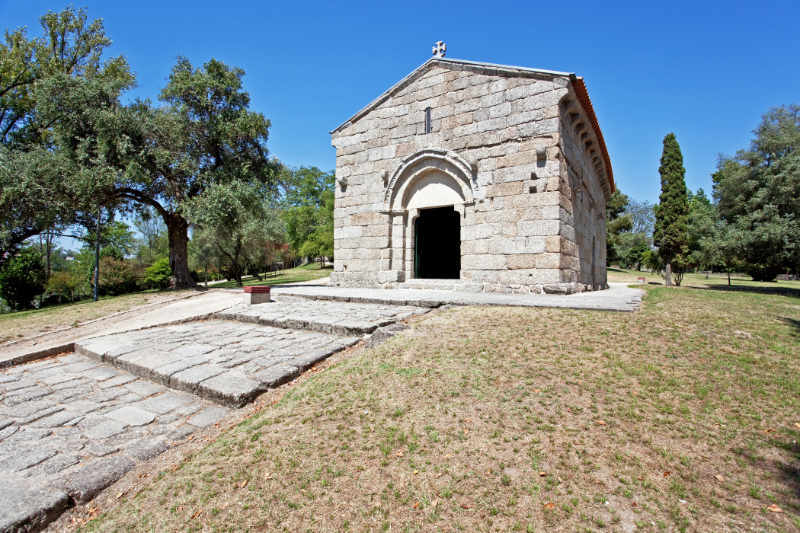 Located next to the Castle of Guimarães, the small church of São Miguel in Romanesque style is believed to be the sight where the first king of Portugal, Afonso Henriques was baptised. The chapel is also located next to the magnificent Paço dos Duques de Bragança palace which you will also have the opportunity to visit. 5. 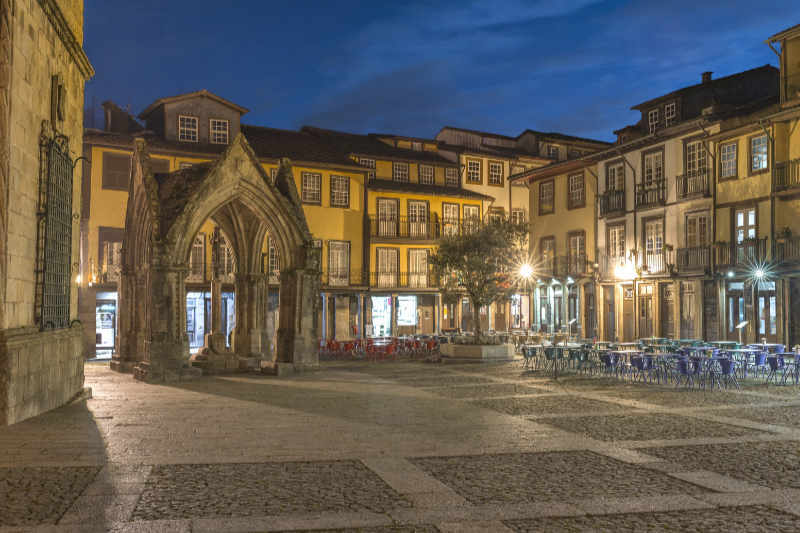 Visit to the Guimarães city centre and its most iconic places such as the Santa Maria street and the Largo da Oliveira square, famous for the secular olive tree planted on site. The square is also known for the surrounding picturesque houses, typical of Portugal northern region. Along the way you will find other monuments, churches and buildings of great historical and architectural interest.